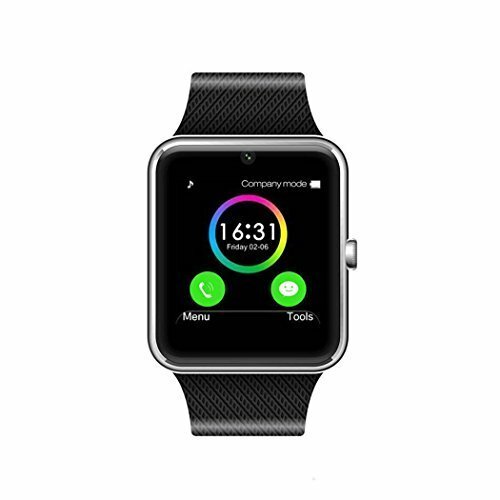 3.For iPhone,it only supports partial functions including Pedometer, Calendar, Call Sync, Calculator, Clock, Stopwatch, Music player,Handsfree,ect. Q1. How long can it last after full charging? A1. For normal using, it can be used for about 1-2 day. Q2. Is it compatible with Android? A2. All functions are available for Android Smartphone with Android 4.3 or above. It also does support iOS with partial functions,Passometer, Calendar, Call Sync,Calculator,Clock,Stopwatch. Q3.How can i wokr like a smartphone? A4. Open the QR code device - Scan it by the scanner - Install the APK on your Android smartphone.